This was to be a competition and the winners would be displayed at City Hall for an exhibition, which would be – naturally – open to the public. We liked the idea of this brief. We decided to have a crack. How do we show that London is all of these things and more? How can we represent the amorphous beast that is London in one visual? How can we do it without resorting to cliches? 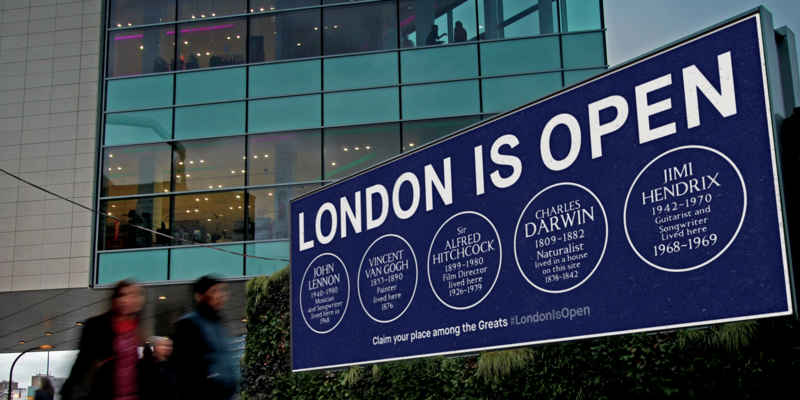 We wanted to reveal London as the uniquely open-minded place it always has been. While researching these questions we came to the conclusion that we could look to London’s future within the context of London’s past. 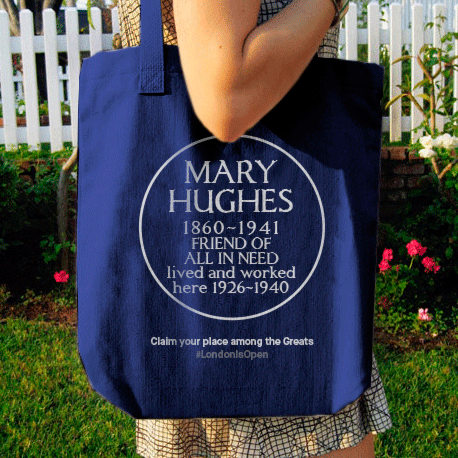 We hit upon the idea of using a cultural icon that shows London as the great city it is and always has been: the Blue Plaque. 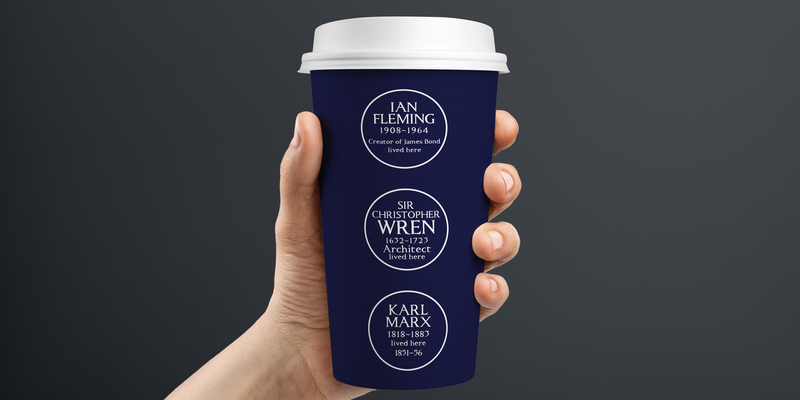 London’s Blue Plaques have been around since the late 19th Century, first developed by the Society of Arts, to recognise the places where and significant cultural figures lived and worked. 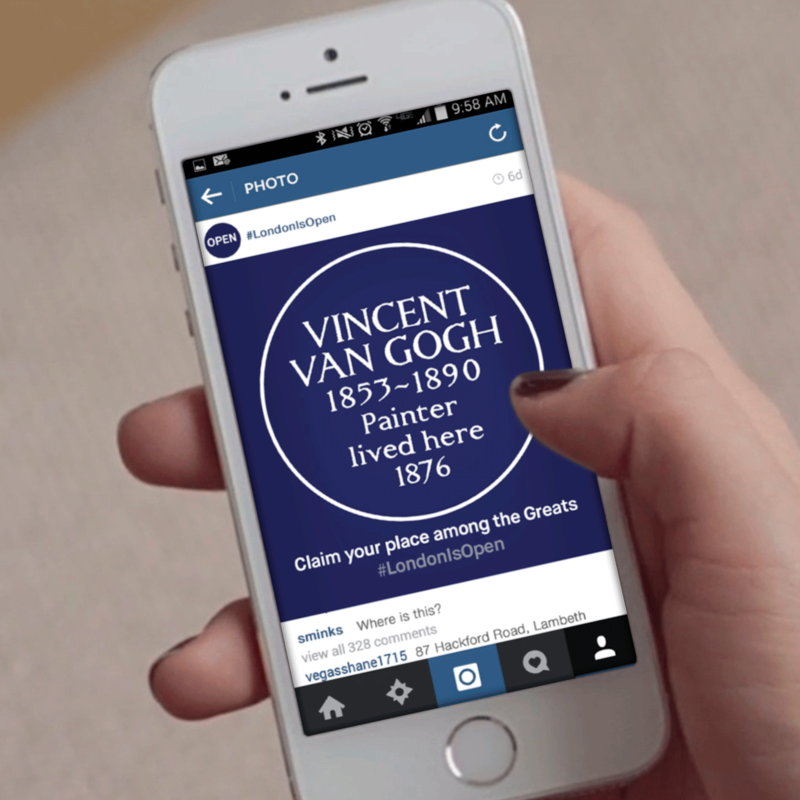 It is the oldest such scheme in the world and as such is itself something of an icon. 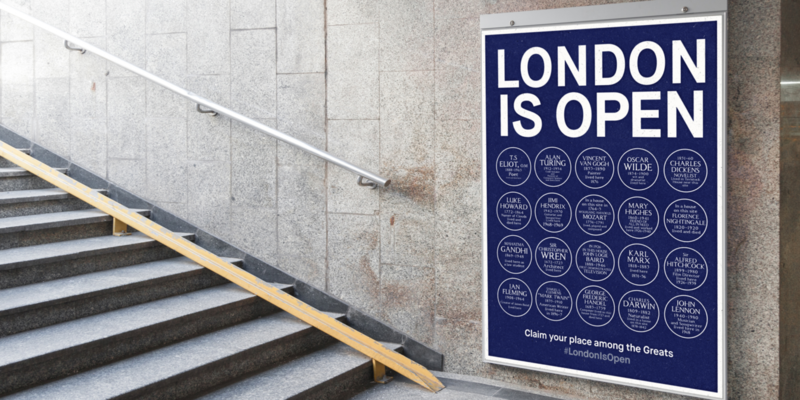 We figured that is there was a visual way that we could show London as the home of so many great minds, we can affirm it as a central hub of ideas and movements. We realised early on that using photographs would prove to be logistically difficult and visually cluttered, since they were spread across the whole of London, at varying heights, and with varying levels of light surrounding them. The best way was to recreate each one. We decided to stylise the plaques into almost-logos so that they would be easily read from any distance. And if you couldn’t read them, you could at least recognise what they were. Below you can see the results of our work, the master poster and the rollout, and well as merchandise ideas. 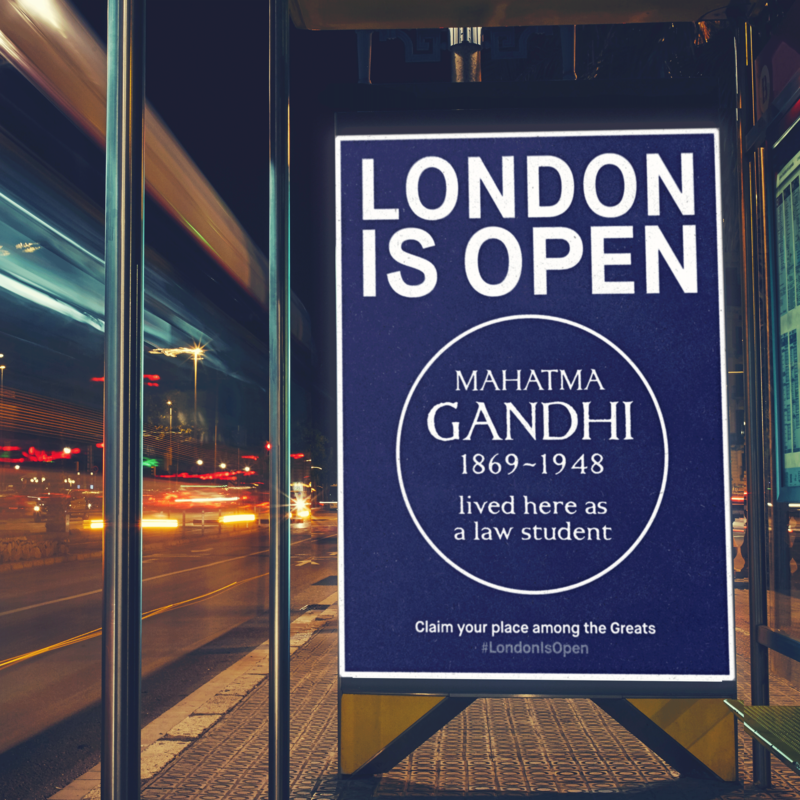 At least half of the blue plaques we use are of people who were not native to the UK just to show how we welcome ideas and people from across the globe. We are pleased to say that this campaign was indeed one of the winners and was shown in a month-long exhibition at City Hall.